(Bali, March 10th 2015) - Aston Tuban Inn by Archipelago International unveiled several new upscale facilities for its valued guests. 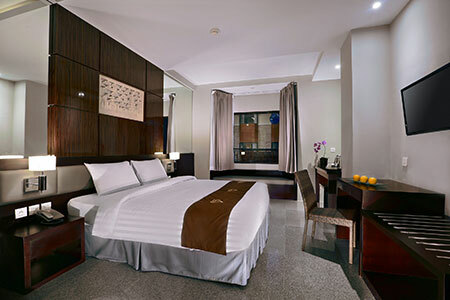 The renovation includes 44 additional rooms, together with a number of luxurious amenities for both business and pleasure. Opened in 2006, the new-and-improved Aston Inn Tuban now features 120 guest rooms and suites, a signature Hula's Café & Bar, the Lomi Lomi Spa & Salon, a gym, as well as three meeting rooms and a 300-person capacity ballroom for the hotel's corporate guests. In addition to the new facilities, the Aston Tuban Inn boasts an exciting yet relaxed hotel environment with inspiring interior designs and attentive, friendly staff. Located in the Tuban area of Kuta, the hotel is just minutes away from Bali's International Airport and within easy reach of the main tourist attractions including Kuta Beach, Discovery Shopping Mall and the island’s vibrant wining and dining districts. “With so many new hotels opening up in Bali, we are pleased to be keeping Aston Tuban Inn at the head of the pack with the launch of its new facilities. Few hotels in Bali are able to offer the same high-quality amenities alongside an affordable price-tag, which we believe is what truly separates our Aston brand from other hotels on the island.” Said Winston Hanes, Corporate General Manager. 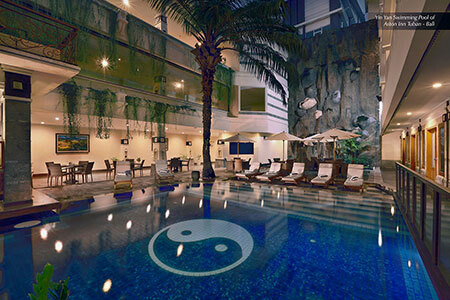 Located in the Tuban area of Kuta the hotel is just minutes away from Ngurah Rai, Bali’s International Airport, Aston Inn Tuban boasts 120 rooms and suites, a signature Hula’s Café & Bar, the Lomi Lomi Spa & Salon, a gym, as well as three meeting rooms and a 300-person capacity ballroom for the hotel’s corporate guests.